Sant Kabir was a 15th century Saint poet who was a part of the Bhakti Movement of medieval times, seeking change in prevalent religious ritual, and through verse, giving spiritual guidance. His sayings are remembered and quoted till today, and are a part of the Sikh Granth Sahib as well. He is particularly relevant today as his sayings conformed neither to prevalent Islam nor Hinduism when he uttered them, and this remains true even today. He spoke, in simple words, on ethics, universal truths, right living and spirituality, and freedom of religious practise at a time when medieval priests tried to abrogate to themselves the right to stewardship of souls. 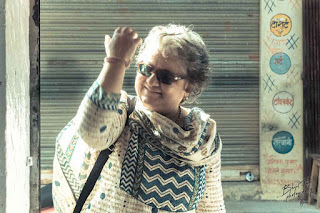 Shailaja Khanna is a music critic. The Mahindra Group has correctly discerned the value of Kabir even today, and for the second year, commissioned Teamworks Arts to curate a festival to celebrate all the aspects of Kabir’s life and works in the place of his birth, Varanasi. The second Mahindra Kabira Festival is being held in Varanasi from November 10-12. Several music sessions focusing on Kabir’s sayings have been planned for the festival. Strangely, the artists include Kabir devotees from South India, where one would not have expected Kabir’s saying to penetrate given the language constraint. Yet, Bindumalini Narayan-aswamy, from Bengaluru, who is trained in Carnatic tradition and has even released an album (a collection of Kabir songs called Suno Bhai, along with guitarist composer Vedanth Bharadwaj) is performing at the event. Shubha Mudgal, who draws huge inspiration from Kabir sayings, will present her take in Hindustani classical context. Famous Bollywood singer Kailash Kher is one of the celebrity singers performing at the event. Kabir has even been invoked in the context of personal finance - Vinayak Sapre , born and raised in Banaras is the author of Dohanomics, and will conduct a session on this aspect of Kabir during the festival, in the afternoon literature session. There is also a session by Abha Dalmia, who has been doing trailblazing work in the area of reviving the textiles of Varanasi. Another unusual format for perceiving Kabir is through dastangoi – the ancient art of Urdu story telling and Ankit Chadha has conceptualised Dastan Dhaai Akhar Ki, a presentation on Kabir, specially for this festival. The morning and evening sessions are being held at different ghats — Darbhanga Ghat, Chota Nagpur Bageecha and Assi Ghat, and each venue will be decorated differently using different colors and lights to enhance the effects. Interestingly, the artists will face the grand ghats of Varanasi, with the pealing of several temple bells interspersing the recitals, while the audience will look out to the river, as the sun sets, for the evening concerts. Indeed a spectacular setting. 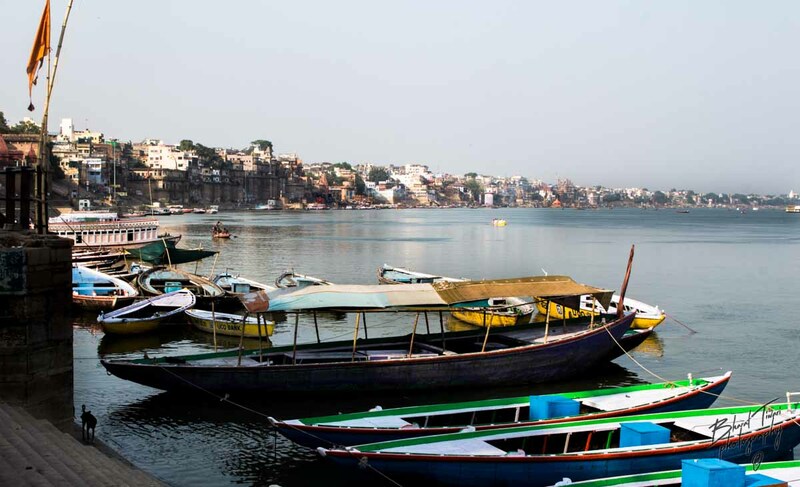 Heritage walks include boat rides to strategic spots on city’s ancient ghats , including spots specifically linked with Kabir’s life there.